(Bloomberg) — Thirteen members of the European Central Bank’s Governing Council have at least 100,000 euros ($113,000) hoarded in deposits with a bank supervised by the Frankfurt institution. 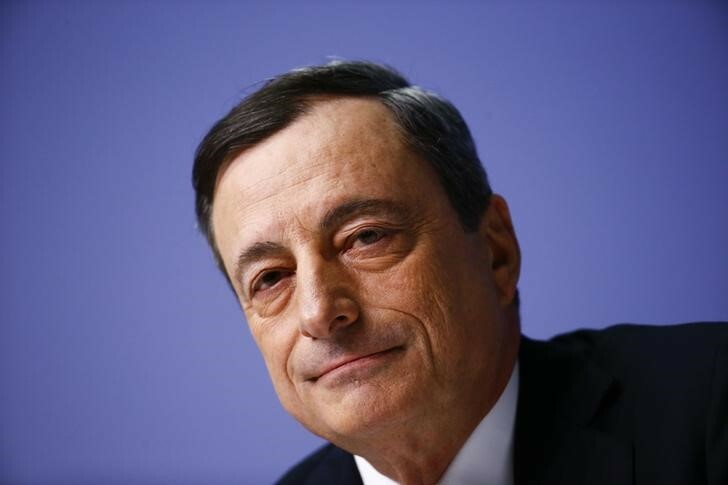 Mario Draghi, the ECB’s president, was among the officials who ticked a box on a Declaration of Interests form saying they have funds exceeding that amount in at least one bank. The documents, released on Monday in Frankfurt, are required by a revamped code of conduct. 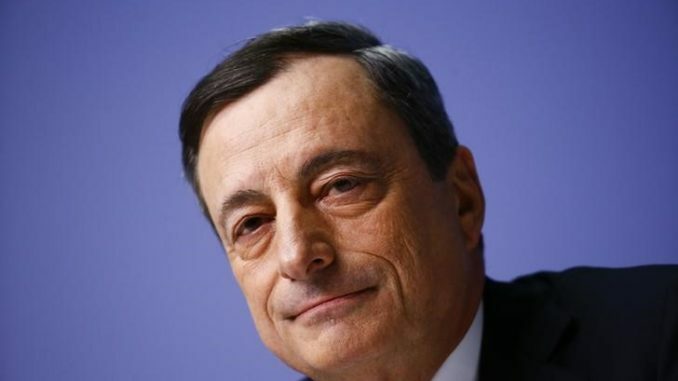 The deposit tally was the only financial admission made by Draghi, who has no relevant holdings of companies or investment vehicles, according to the records. By contrast, some of his colleagues had much more to declare, with the most elaborate list by the new Belgian governor, Pierre Wunsch. He has interests in 13 separate funds and an investment plan, as well as shares in a couple of start-ups. Among Draghi’s five colleagues on the Executive Board, Benoit Coeure, Yves Mersch, and Peter Praet all ticked the 100,000-euro box. Praet, Mersch and Vice President Luis de Guindos listed funds or stocks they had invested in. Central bank governors from the region’s biggest economies all had something to declare. Bundesbank chief Jens Weidmann didn’t tick the 100,000-euro box, but did reveal interests in two exchange-traded funds. Bank of Italy Governor Ignazio Visco and the Bank of France’s Francois Villeroy de Galhau both met the deposit threshold. The Frenchman also holds shares in his family’s company, porcelain manufacturer Villeroy & Boch. “The code strengthens and harmonizes the ethical conduct, compliance and transparency practices within the Eurosystem,” the Bank of Italy said in a statement marking the release of the documents.